Aviyal is a traditional South Indian dish I remember my Mum in law telling me that it was one of her favorites, it is often served at weddings and festivals. 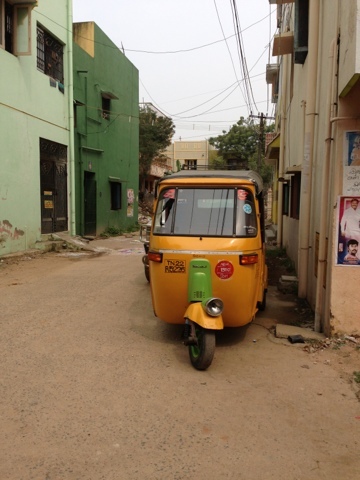 When we were in India last month my Aunt came from the village to visit. She is a lovely lady and now after being married nearly ten years and meeting quite a few times with my not so good Tamil and her English we manage to communicate. She's in her 50's but so active and full of live and humor. 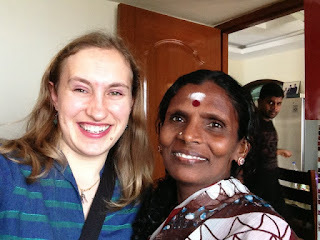 She puts some of the younger folks to shame:-) with her energy levels, she is also a wonderful cook. I got this recipe from her but I did use coconut milk as its hard to get fresh coconuts locally, but it tastes pretty close and the hubby approved. a handful of fresh curry leaves - you can find these in the Indian store in the case of this recipe they are needed. 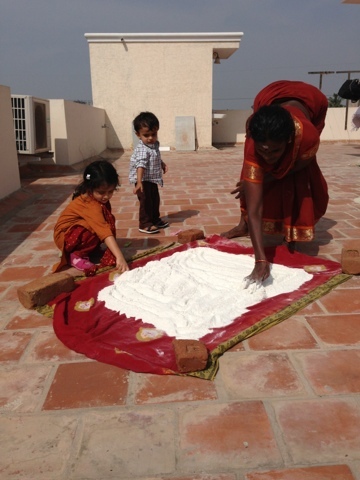 This is her laying rice flour on the roof to dry with the kids, the coolest thing is she grew the rice and made the flour, this flour is used to make iddiapam. 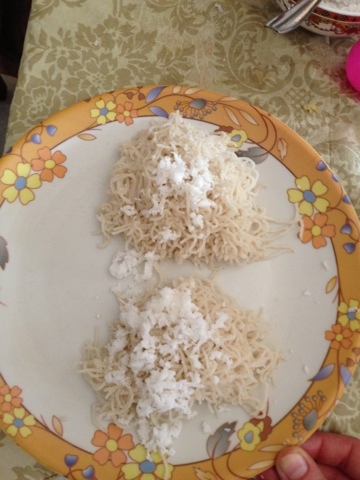 See below, almost like an Indian rice noodle, its eaten with curries or with coconut milk and sugar often for breakfast. 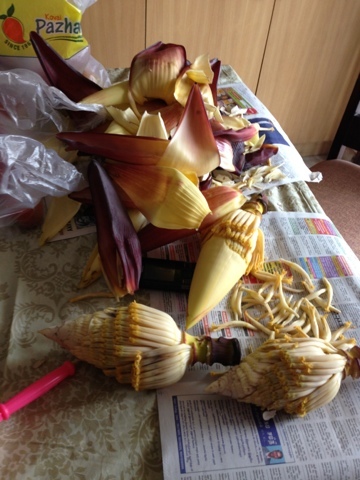 These banana flowers were also grown in the village and the flowers carefully picked to make a tasty stir fry with. The kids have been sick this week with a cough and cold, hopefully it will leave the house soon.